ROAD TOWN, Tortola, VI- Host of the radio programme, 'Speak out BVI' on ZBVI 780 AM, Doug Wheatley has added his voice to the discourse on whether the [British] Virgin Islands (VI) should seek independence from Britain, saying that there is nowhere in the international law books that says small dependent territories like the VI should remain colonies of other countries and the Brits know this. According to him, there are three options that are available, under the law, they are: independence, become integrated with another power and the third is to have a relationship with another country. Wheatley mentioned that while this conversation is nothing new, he questioned whether the territory is prepared for the independent move. He made reference to several meeting notes that were taken in 2001, that may still be the same to this day, from Jost Van Dyke, Anegada, and Virgin Gorda, where it was argued that there is much more that still needs to be done which are more crucial, such as food sustainability and development before that leap to independence. “But there is no provision in terms of international law for the continuation of colonies as we are with the UK and the UK, of course, is aware of this,” he pointed out. He noted that for a long time many persons have been saying that there has to be another category than just three aforementioned that would take care of the “little specks” like the VI, Anguilla, Turks and Caicos, Cayman Islands and so forth, since it was felt that these islands are too small to become independent. Thus another category would allow them to maintain certain relationships. Colonialism a thing of the past? However, he stated that at the moment it is not that way and being a colony of another country is a thing of the past. “I don’t know if it will ever be changed but at the moment it is a no-no. Colonialism has been outlawed, it is no longer feasible, it is no longer practical to have colonies and no one should be living under another country. Either you are going to be equal or you are going to be incorporated into that country. But you cannot be a subject, a colony that is a no-no, regardless of how happy you might be, being under the UK or the United States Virgin Islands be under the United States, it is a no-no in international law. It is a temporary status and you have to move to one of the three options,” he noted. The talk show host used France and the Netherlands as examples. He said, for example, France has incorporated Martinique, Guadeloupe, and St. Martin into France and these islands are within the departments of France. Wheatley also pointed to Aruba, Bonaire, and Curacao that are independent within the framework of the Netherlands. “They are free, they have a free association with the Netherlands, and if they want to become totally independent from the Netherlands, they can move in that direction, if not they can remain as they are. They have their own Prime Minister et cetera,” Wheatley said. Become a part of the U.S and have the whites take over just as they are doing in our neighbor island St. John. The whites run St John? I don't think so. NDP not great, VIP is hopeless but the Gov't in the USVI is terrible. The only thing that saves St John is that the USVI Gov't leaves it alone most of the time. The government already have the country broke so where we going? What's wrong with controlling your own destiny? Perhaps he should talk more about islanders learning to like their country. Cars dumped on the side of roads, trash thrown in the bush, pets being poisoned, leaving it up to expats to provide a search and rescue service, this list could go on! more important things to talk about than stir people up about going it alone. What about becoming a state or country of the UK with same status as England, Scotland, Wales etc? Going INDEPENDENCE is a very BIG STEP for any small island states..SOME SERIOUS QUESTION TOLAN NEED TO ASK THEMSELVES ....can the BVI provide FOOD for its people ? what is the natural resource(which can be use to for economic gain) ? what CURRENCY will be use ? can the BVI protect it selves from terrorists ? CAN THE PEOPLE TRUST THE RULING GOVERNMENT PARTY TO DO THE RIGHT THING FOR THE PEOPLE ? Providing Food: A more active interest has to be demonstrated by the Government, which has an Agriculture Department - hopefully the Annual Agriculture Exhibition is being planned for 2017. The Government sets the pace - believe it or not. Natural Resources and Human Resources: Appreciation for Agriculture (subsiding local farmers and fisherfolk) will enable them to invest meaningfully in their trades, so the population can afford to buy their produce. 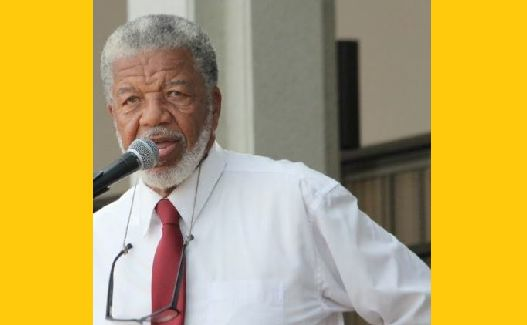 The favouritism and victimization in Government Departments needs to be minimized - qualified BVIslanders need to be given a fair chance to contribute - the Public Service does not belong to a chosen few to the exclusion of others. Currency and Security Capabilities: We know what the BVI has now (the USD to trade with and assurance of the British Navy, if necessary), but what will we trade those for? A currency with a lower value? And the Security capabilities, if the Government cannot adequately maintain its Departments and pay its vendors for goods and services now, where will the money come from to set up a Navy or other Security Forces? Hopefully, the obvious option is not China. Definitely the present Ruling Government Party cannot be trusted to do the right thing for the people and this Fact is known to all concerned. So, please consider the basics required before independence and explore the available and reasonable options before so gleefully trying to cut the ties from Britain. I mean, it is incredible that both Government members and Opposition have been calling for independence - have any seriously looked at the consequences for the people? Does BVI have to experience its own Brexit and not take heed to the upheavals a few thoughtless people have fuelled in the UK? Our hardships have been minimized just knowing that they are somewhere in the background. People consider, don't be led blindly into avoidable ditches. No entity should be allowed to operate without oversight or you will have abuse. Not too fastDoug. I know you have good intentions,but these things must be sorted out properly.Take the other Caribbean islands that have gone independent. They went through proper phases, yet their people are here and outnumber us. Ask the honest ones why. Ask why they are seeking belongers status and natrulisation in this two by four territory. Our people have not been well informed by this government or any other government what it takes to go independent. Can we depend on the Financial Industry and Tourism to take care of our people after independence? No. It takes much more. Do. Not let power hungry politicians fool the people. With the greed and corruption in this little territory right now we. Will be asking for trouble. We do not want crime to escalate and that will happen we do not have the form of agriculture to feed our peopl. The day a cargo boat is late we see what happens.. While we want to steer our own destiny it must be done properly. When projects are done and the money stolen we will not be able to even Querry. Be careful what you ask for. The VI people is entitled independence and self determination. But the group of approximately 36 islands of 57 square miles that comprise the VI is not ready for independence and is a long way from it, if ever. Why? It is small, resource-poor, probably of little strategic value at this point.........etc. Its small size comes with many disadvantages and vulnerabilities(DV). These DVs includes 1) proneness to natural disasters( hurricane, earth quakes), 2)narrow economic base, 3)small open economy, 4) high import/low export, 5)high per capita governing cost, 6)small population, 6)high transportation, energy and communication cost, 7)limited opportunity for economies of scale and scope, 8) limited ability to influence prices, 9)long distance from markets, 10) high dependence on external investment, 11)high susceptibility to external shocks.....etc. Moreover, the VI lacks the natural resources on which to develop a primary economy( precious metals, fishing, forestry...etc, or to develop a secondary economy, i.e., manufacturing. Instead, its economy is heavily service-based ; tourism and financial services are its core services. With the DVs, the VI is in somewhat of a Hobson's Choice situation, i.e., its status quo and available option(s) are not promising. Nonetheless, it (VI) has much to do to even before considering going for independence, i.e., physical infrastructure development, social infrastructure development, educational improvement, healthcare improvement, economic diversification, environmental conservation, job creation, effective governing, national unity........etc. The VI has a weak hand so how should it play it? As noted earlier, the VI is not ready for independence at this juncture. Instead, it should hold independence in abeyance and focus on the more critical issues. In the interim, it can commission an ad hoc committee to explore independence.